Hello, we’re Drs. Rothenberg and Moskowitz of Vanguard Dental Group, a well-respected dental practice in Derry, New Hampshire. 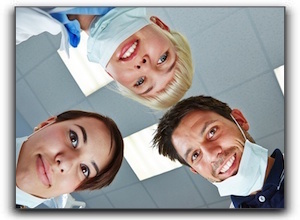 Since 1999, we have been providing preventative, restorative, and cosmetic dentistry to patients of all ages. We offer comprehensive dental services including dental implants, family dentistry and sleep apnea and snoring. Our passion is providing exceptional care for our valued patients. To make an appointment, call us at 603-435-1482.